Looking for a good fit for your budget? Look no further! 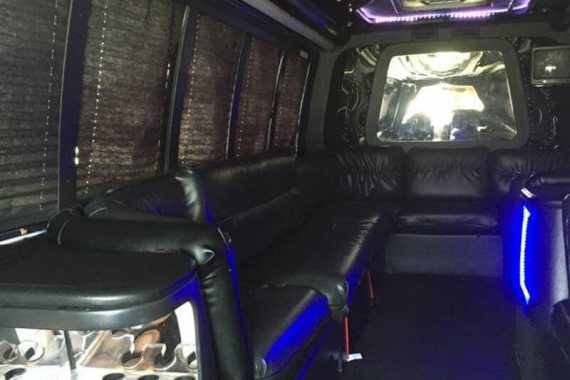 Our 15 Passenger Party Bus is simply perfect for you and 14 of your closest friends, at an economical cost. There is plenty of room in here for a fantastic time. Enjoy these superb amenities such as a cozy wraparound seating arrangement, LED disco lighting to set the mood of the party, and bars pre-filled with ice to keep your drinks cool. 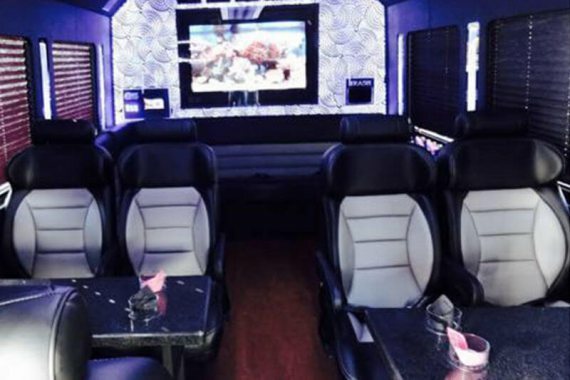 We recommend this bus for bachelor parties, bar hoping, and so much more! 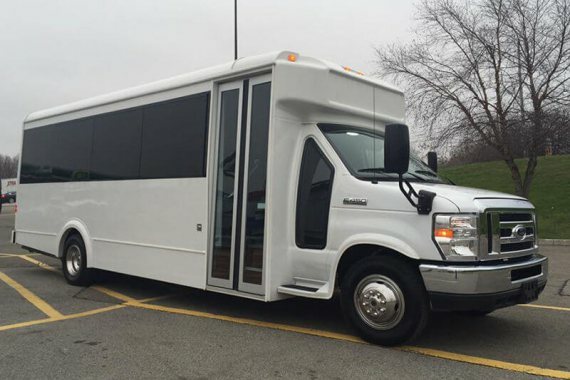 Don't like the look of our first 15 Passenger Party Bus? Check out this bad boy then. Showing off it's supreme luxury and style, you'll feel like a rock star when you roll up to the club. 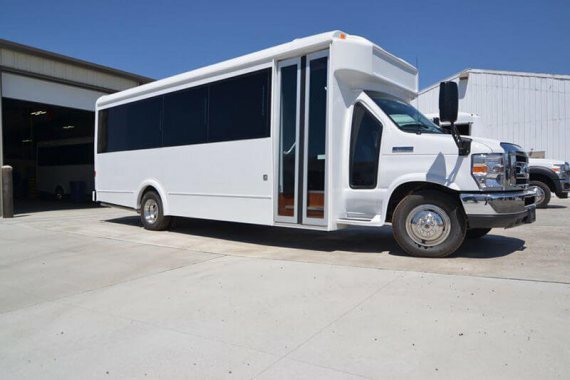 You wouldn't expect it, but we have stocked this beautiful and comfortable bus with some of the best amenities around. Including, but not limited to, tables, coolers to keep your drinks fresh, a big screen TV to pass the time of the drive by, shades for perfect privacy, and so much more!